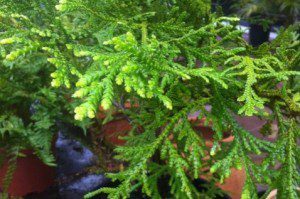 Aruacaria angustifolia is an evergreen tree growing up to 40 m and 1 m in diameter. 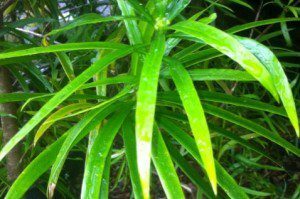 The leaves are very thick, tough and scale like, triangular, 3–6 cm long, 5–10 mm broad at the base, and with razor-sharp edges and tip. They persist 10 to 15 years, so cover most of the tree except for the trunk and older branches. Thujopsis dolabrata is a medium to large evergreen tree, reaching up to 40 m tall and 1.5 m trunk diameter, with red-brown bark which peels in vertical strips. Wollemi nobilis is still very new to cultivation. 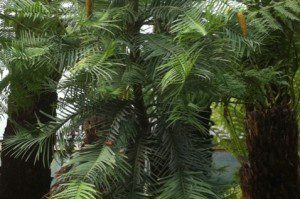 The story of the discovery of the Wollemi Pine has been well publicised. 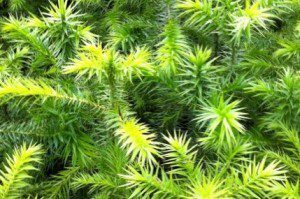 In brief, National Parks and Wildlife office, David Noble, discovered the plant while bushwalking in an isolated area of the Wollemi National Park. He recognised it as being unusual and took a specimen for later identification.